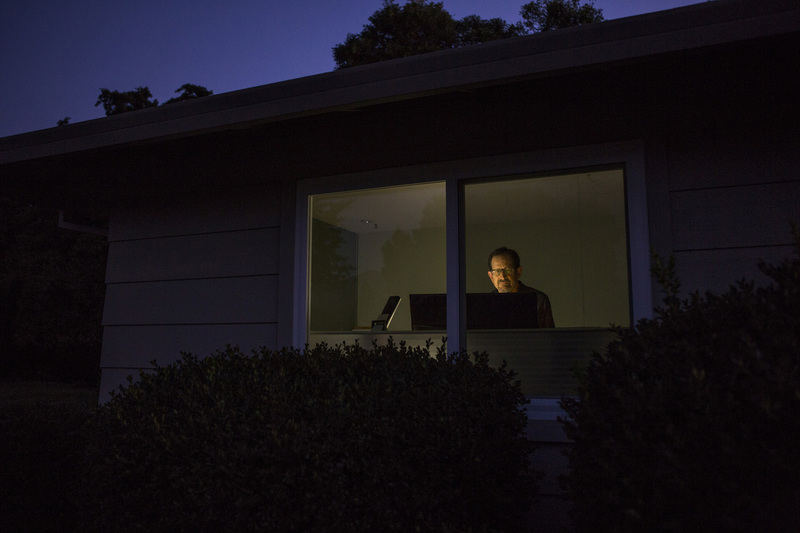 Steve Spanier, the OVA board president, sits at his computer inside his house in Oakmont Village, Santa Rosa, California. Steve and the board members meet regularly to better understand servant leadership and how they can apply its principles at Oakmont. Santa Rosa, California.